As promised, A3 Tweaks has released their Auxo 2 tweak in the Cydia Store earlier today. 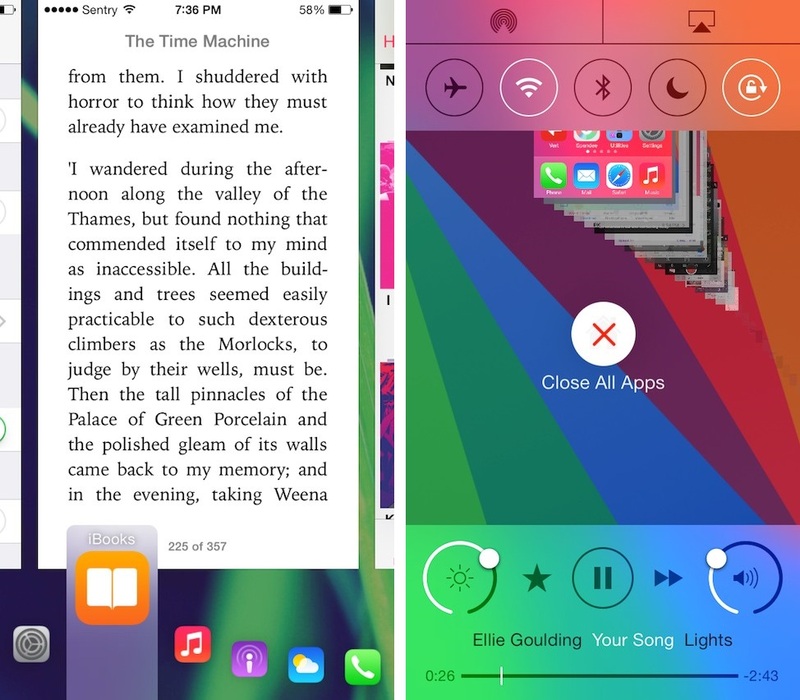 Auxo 2 is an upgrade to Auxo, but has been completely rebuilt for iOS 7. This is perhaps the best Cydia tweak out there and it gets better with Auxo 2. 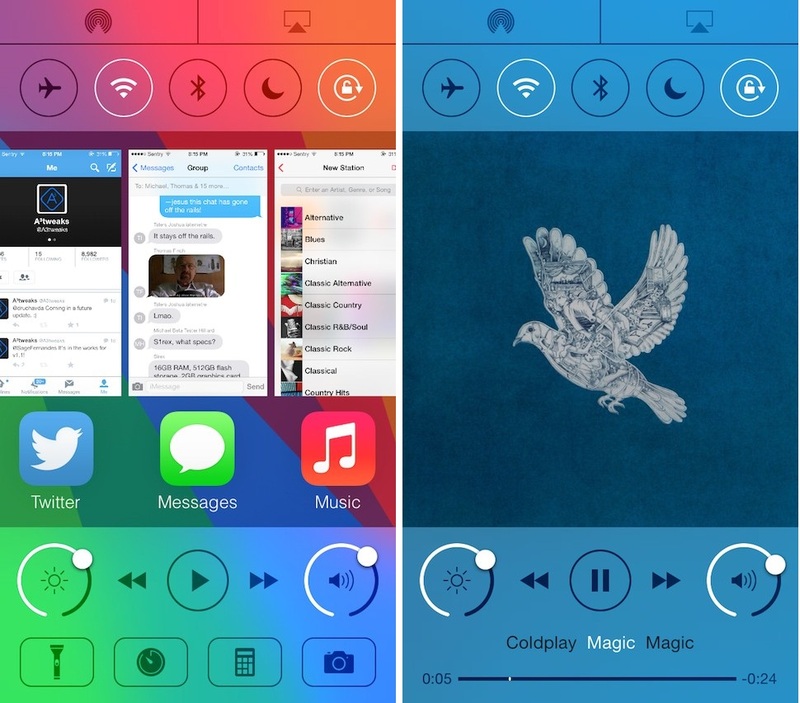 Auxo 2 includes three core features namely, Multi-Center, Quick Switcher and Hot Corners. Each has its own specific gesture and lets you do a whole lot more than the stock App Switcher in iOS 7. Multi-Center lets you swipe up from the bottom of the screen to reveal both Control Center and the App Switcher at the same time, giving you access to everything. Pulling down on an App Preview lets you switch to that app and swiping up on the homescreen preview lets you close all apps at once. Quick Switcher lets you switch between apps in a much more faster and simpler way. Swipe up from the bottom left side of your device to access the switcher and slide your finger over the app you want to switch to and release. This only shows your most recently used apps, but you can enable the Unlimited option to view all apps in this view. Hot corners lets you access multitasking or the homescreen by simply swiping from the bottom corners of your screen. All of the settings for these three core features are available to customize in the Settings panel. It is advised that you uninstall CCToggles or CCControls as they’re not compatible with Auxo 2. Also, the tweak doesn’t work on the iPad, but the developer has promised that iPad support will be available in the 1.1 update. You can head over to the Cydia Store and download Auxo 2. For those who have previously purchased Auxo, this update is available for $1.99, whereas for new users this tweak will cost $3.99. Try it out and let us know what you think of Auxo 2? Do you like it? I am using Auxo 2 on my 4s…once in the multicenter, the app icon overlaps with the app card a little bit, any way to fix that?